If a LaFerrari seems too common, and you’ve got the money, Ferrari will build you a one-of-a-kind supercar. 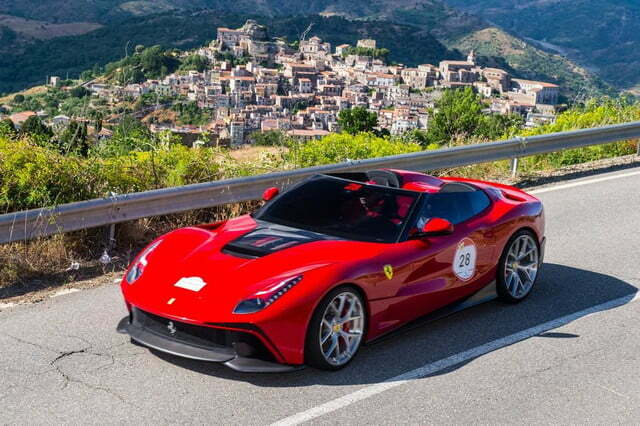 In fact, this is a part of the business that Maranello is eager to promote, which is why it’s showing off the stunning F12 TRS at the Ferrari Cavalcade event in Sicily. 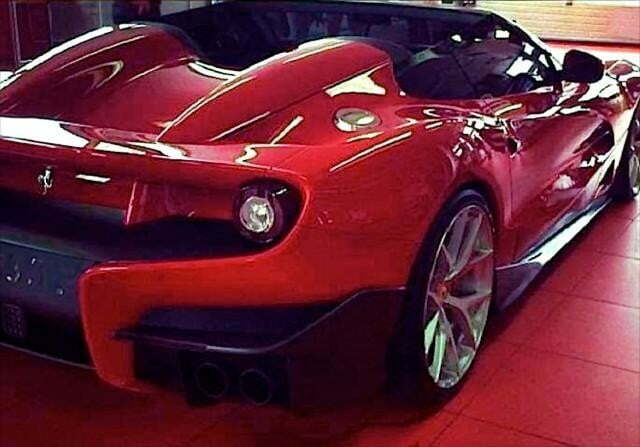 Photos of this F12-based roadster were leaked last week, and now Ferrari has a few things of its own to say about the car. First off, the TRS doesn’t have a Kinetic Energy Recovery System – or “KERS” – hybrid system, as some rumors suggested. It packs the same 6.3-liter V12 as the stock F12 Berlinetta, with 729 horsepower and 508 pound-feet of torque. That’s enough for a 0 to 62 mph time of just 3.1 seconds. 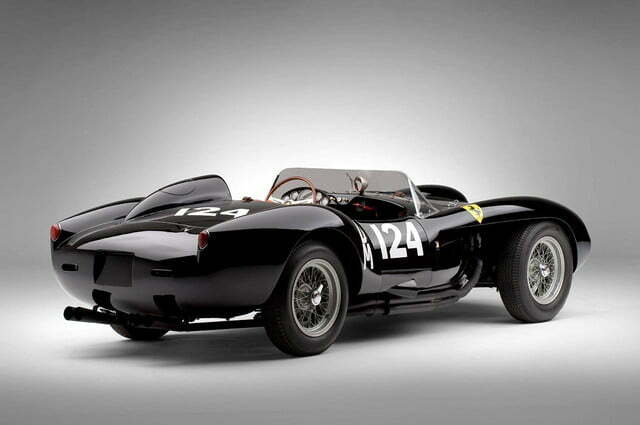 Ferrari says it built the TRS for a customer who wanted a modern car inspired by the 1957 250 Testa Rossa. The wraparound windshield and roofless bodywork evoke that legendary sports car, while features from the stock F12 – like the “aerobridge” cutouts in the front fenders and T-shaped rear fascia – have been restyled for a more dramatic look. 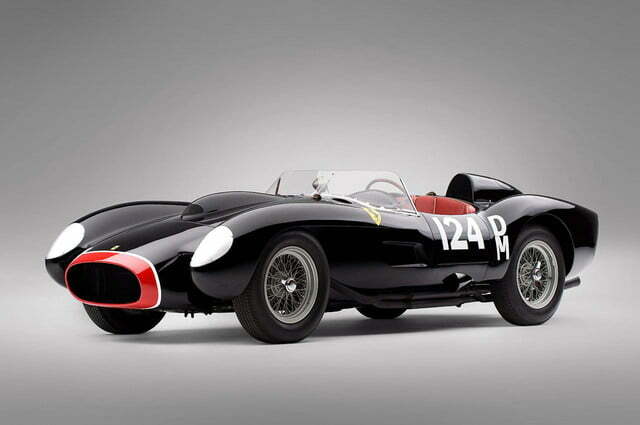 The name “Testa Rossa” means “red head” and referred to the original model’s red valve covers. A similar set are in plain view on the TRS, thanks to a Corvette ZR1-like window in the hood. 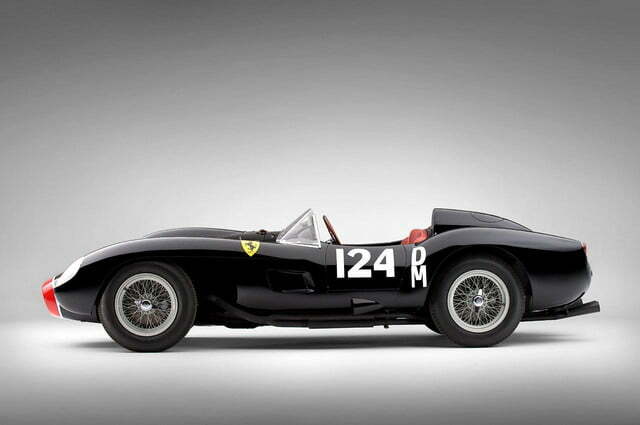 Those original Testa Rossas also lacked the luxuries of modern Ferraris, and that spartan environment has been replicated as well. Whereas the normal F12 has more buttons than a nuclear reactor’s control panel, the TRS doesn’t have an audio system, central air vents, or even a glovebox. 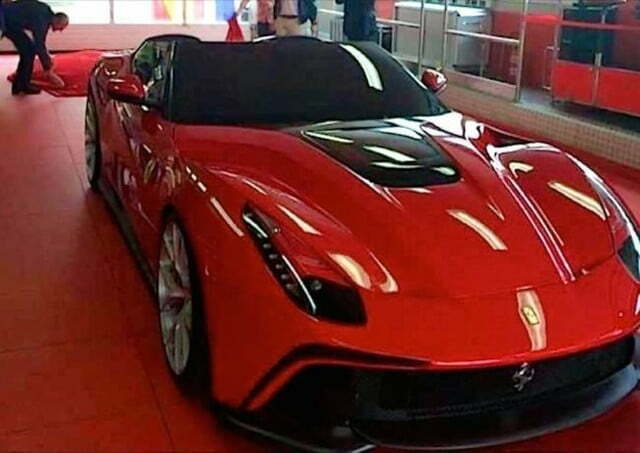 Ferrari wouldn’t confirm the F12 TRS’ rumored $4.2 million price tag, which would be enough to buy a LaFerrari, McLaren P1, and Porsche 918 Spyder, with some change left over. Originality doesn’t come cheap.